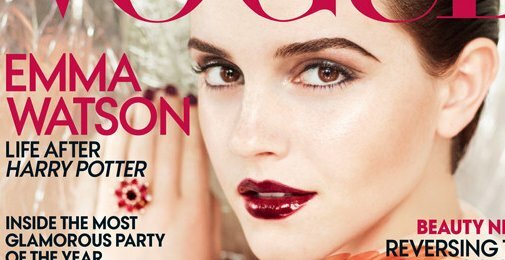 Emma Watson was wearing a Prada dress and Ben-Amun bangles on the cover of Vogue’s July 2011 issue, which is available on June 21. On admitting she’s very much like her character Hermione, she thought Hermione is close to who she was as a person that she has never really had to research a role. On experimenting Harry Potter makeup trailer, the head of makeup allowed her to do the extras’ face paint for the Quidditch matches. On Daniel Radcliffe, she thought that her co-star understood what his role was as the leading man in the franchise. Emma also fight to balance education and work.